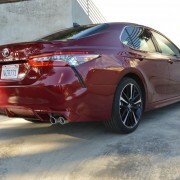 This year, seven Toyotas started the Daytona 500. Six of them used V8 engines to power their rear wheels. The seventh used a V6 to power its front wheels. 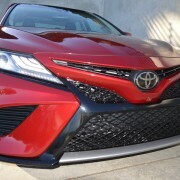 That seventh Toyota was the Camry XSE pace car, which dropped into the pits as soon as the green flag waved. 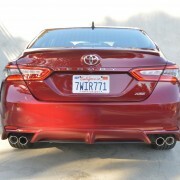 Despite NASCAR myths to the contrary, Toyota makes neither a rear wheel drive Camry nor do they build one with a V8 motor. 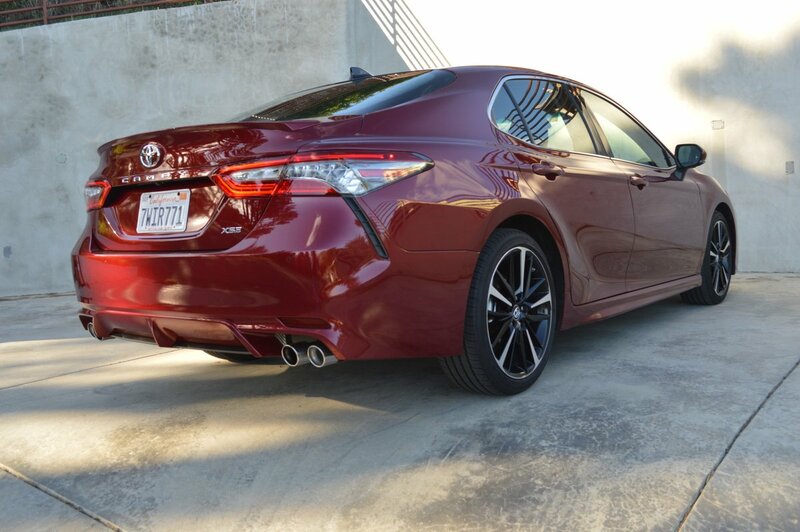 But after spending a week with the real Toyota Camry, an XSE V6 4-Door Sedan, I can see why it’s perfectly suited to pace a race like the Daytona 500. 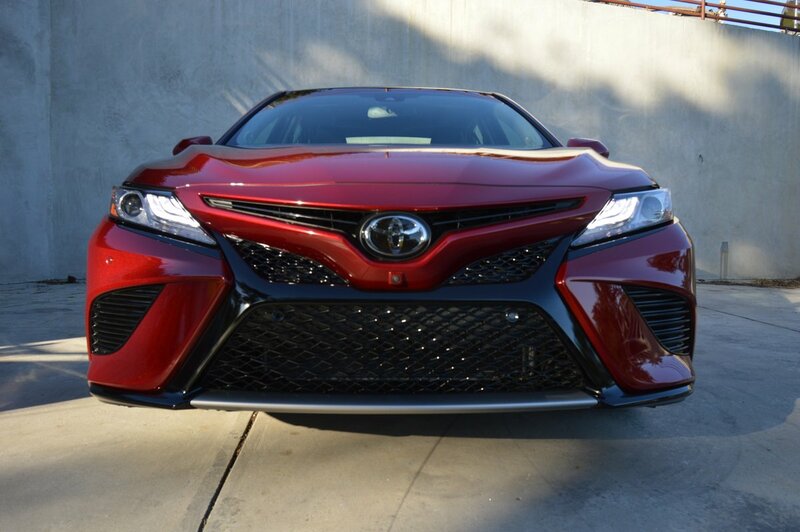 Even without a V8 or rear wheel drive, the all new 2018 Camry is plenty fast enough to earn its starting spot leading the pack at Daytona. 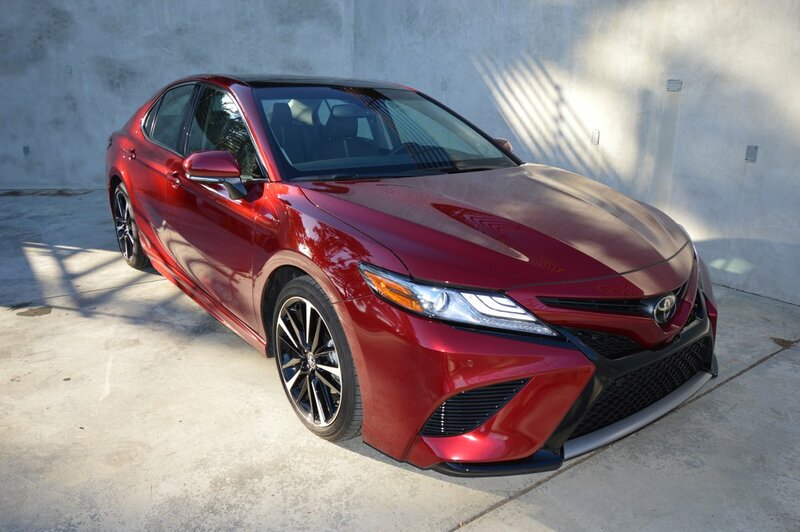 The latest Camry V6 is exceptionally refined, with dual fuel injection, variable intake and exhaust timing, and double overhead cams actuating 24 valves. 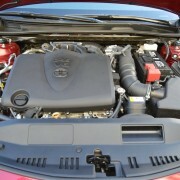 Consequently, the 3.5 liter 301hp motor produces much higher horsepower than the 268hp V6 it replaces. 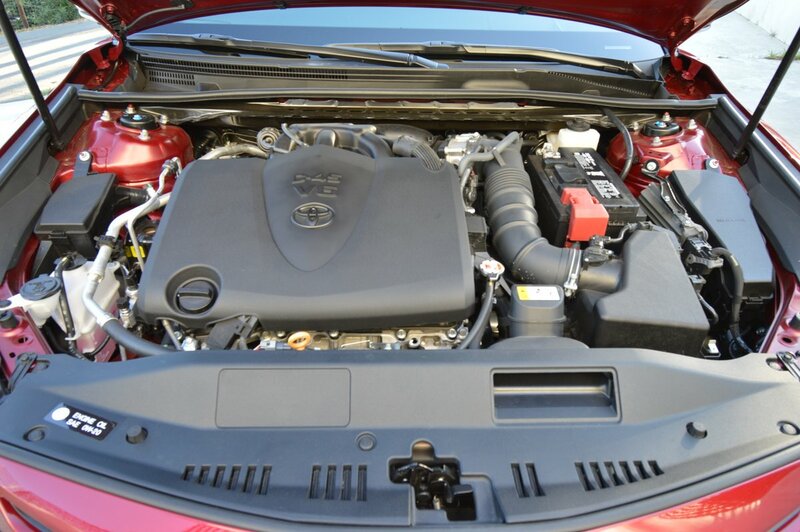 It also boosts torque to 267lb.-ft., but yields surprising fuel economy (26MPG overall). In fact, the V6 is strong enough to induce palpable torque steer when you lay into the throttle with the front wheels slightly cocked. At that instant, the front end lifts slightly and the wheels tend to center themselves away from the turning arc you have selected. Once you become accustomed to this torque steer phenomenon, you learn to straighten the wheels before flooring the throttle. 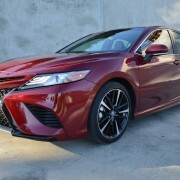 This handling anomaly afflicts only high powered front-wheel drive layouts, so the XSE Camry should be congratulated for having enough sheer grunt to join that exclusive club. Managing the power is an 8-speed “Direct Shift ECTI” gearbox that encourages manual usage through steering wheel mounted paddles or floor mounted bump stick. 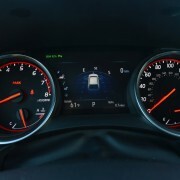 In full automatic mode, the 8-speed quickly defers to the tallest feasible ratio to minimize fuel use. 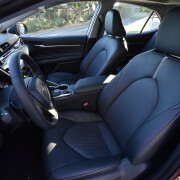 If you leave the 8-speed in Drive and floor the throttle for maximum acceleration, the gearbox takes about a second to comply with your request by downshifting into a passing gear. If quick throttle bursts are anticipated, you’re better off selecting the sequential shift mode, and manipulating the gearbox yourself. 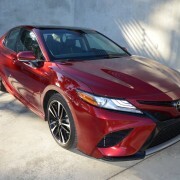 While you’ll never confuse the handling characteristics of a front-wheel drive sedan with the precision of a rear-wheel drive layout, Toyota has done a commendable job of evolving the Camry into a surrogate sports module. 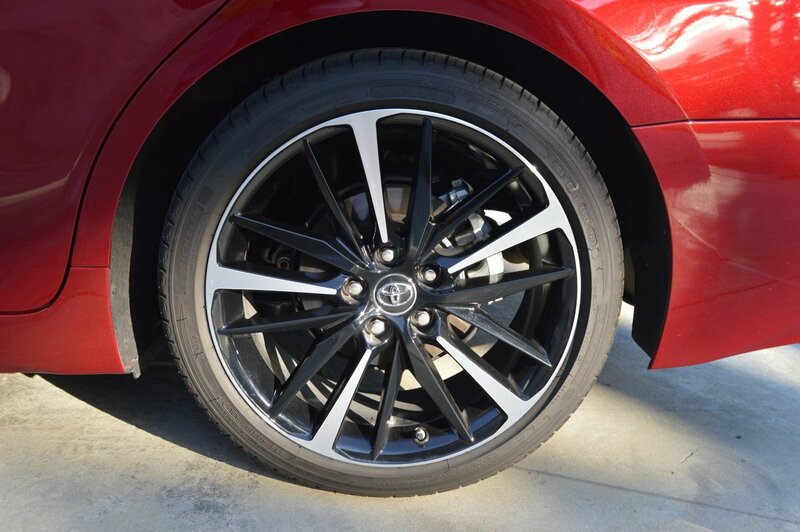 They’ve dropped its ride height by a full inch for 2018, which makes ingress/egress a little dicey, but improves handling by lowering the 3,340 pound car’s center of gravity. 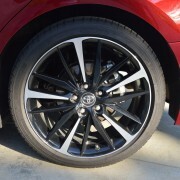 Assisting in the responsiveness equation is the XSE’s standard “sport tuned suspension” assisted by model specific “black machined finish” 19 inch alloy rims carrying Michelin Green X rubber (235/40R19) at each corner. These tires are government rated at TW (treadwear) 500 which means they’ll last longer than you want while providing less grip than you’ll need. 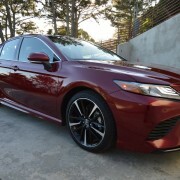 With a tire upgrade to something in the TW 200-300 range, this top echelon Camry could pose a serious back road challenge to unsuspecting BMW drivers. 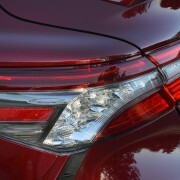 The restyling of the Camry is rather controversial, given this model’s historic reluctance to stand out in a crowd. 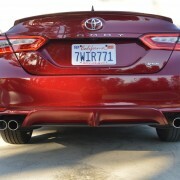 The new body shell features more flourishes than a Big Band finale, with faux scoops anointing the front corners, and faux exhaust tips decorating the rear corners. All in all, the design is visually arresting if not beautiful in a traditional sense. 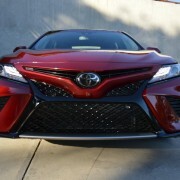 A friend of ours who currently owns both an older Camry and a Toyota Avalon, shook his head in disbelief at the extravagant appearance of the test car. 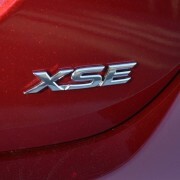 The jury is still out on the look of the XSE, but Toyota felt compelled to redesign their bread and butter sedan into something more controversial than its prosaic predecessors. You can call it their croissant and olive oil take on the old bread and butter standard. The flamboyant interior furnishings of the XSE border on lavish. 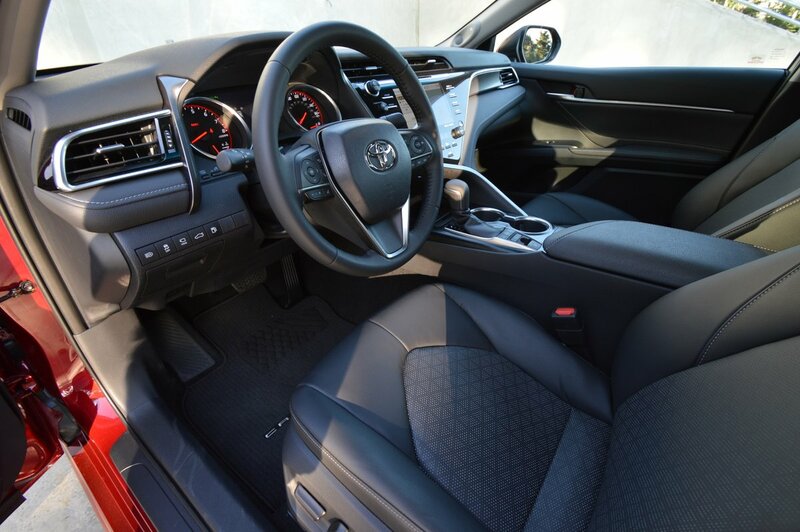 Leather-trimmed front sport seats offer standard 3-stage heating and 8-way power adjustability. A useful deep well between the front seats made the perfect nesting place for a couple of containers of hot soup containers coming home from the supermarket. The 8 inch touchscreen on the dash face is easy to read in most ambient light situations, though my polarized sunglasses rendered it unintelligible. 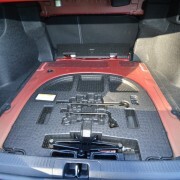 The standard extra-long sunroof really lights up the interior when you retract its cover. Actuation of the sunroof is accomplished by a pair of roof-mounted buttons which flank a central SOS alert switch. Proximity makes it too easy to confuse these three switches. 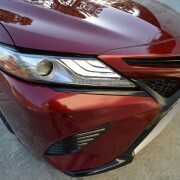 The latest Camry seems well screwed together, with no raw edges showing anywhere – a tribute to the American workers who assemble this vehicle in Georgetown, Kentucky.